A face full of the thick beard is as masculine as someone can possibly be. However, not everyone can acquire that look. Even though most men can grow a beard, a full and thick beard is still reserved for a lucky few. 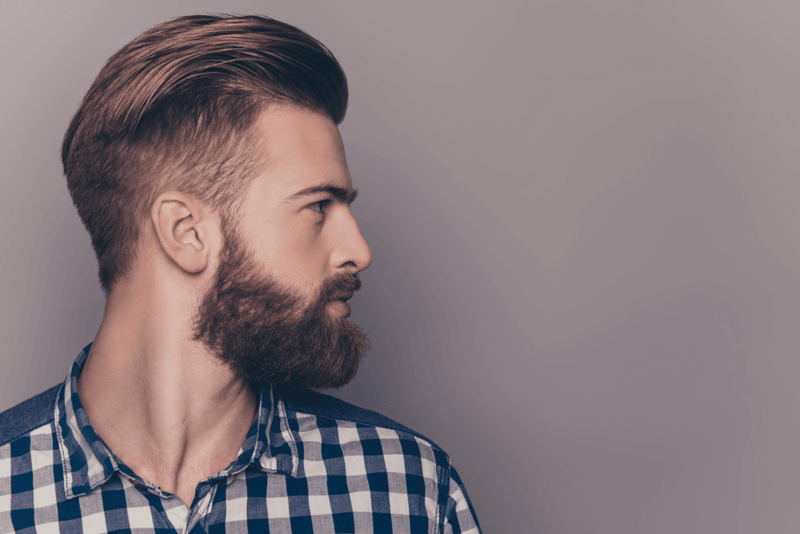 Most men still struggle with a sparse, patchy beard. However, this could be easily remedied. Here is the ultimate guide to growing a thick beard on your face. To get the full potential of your beard, you need to first cross the 4-week mark. The first four weeks is when your beard is still growing and not all spots on your face have yet been filled by it. However, it is the most difficult mark to cross because of one reason: itching. Constant itching caused by the new hairs often compels men to shave off soon. This is why surviving the first month is important. · Use beard growth oil. While the oil is usually used for promoting growth, it also makes your beard softer and thus gets you rid of the itchiness. · Wash your beard every day. This is done to remove any dust that might get accumulated there and impede the growth. However, it is important to not over-wash either; too much washing robs away the natural oils and makes your beard extremely stiff. · Keep an eye for spots that seem to grow no or little beard. You might have to do something extra, like massage more often, to stimulate the growth. · Care for your skin: Most men are so concerned about their beards that they simply forget about the thing underneath it. Your skin is like a canvas on which you draw your magnificent beard. Quite naturally, you must take utmost care of it. Regular cleaning and washing is a simple way to keep your beard clean and prevent any accumulation of dirt and dust. You must also keep your skin moist by either applying skin moisturizer or beard growth oil. · Have a healthy lifestyle: Your beard depends on a lot more than just your face. How you live your life plays a vital role in deciding how great your beard it. Regular exercise is a natural stimulant to promote hair growth. Adequate rest also ensures that damaged skin cells are repaired, so that the hair follicles can grow without inhibition. Diet also plays an important role, and some foods can indeed help you in getting a thicker beard. Finally, stress is a really bad influence on a spectacular beard. You must stay happy if you desire a beard to make everyone jealous. · Use beard-care products: It’s quite obvious to use beard care products when you are trying to have a better beard. The simple reason is that these products are tailor-made to suit the needs of your beard. Beard growth oil is often considered the ultimate product because it contains almost everything that your beard needs. For example, biotin promotes hair growth while jojoba oil provides nourishment to facial hairs and promotes their thickness. Apart from beard growth oil, you can also try beard wax and beard gel to give a shape to your beard. Getting a thick beard is not as difficult as most people make it sound. All you require is enough patience and the right tricks at your disposal.